The Sextons are proud supporters of Rome Catholic School. 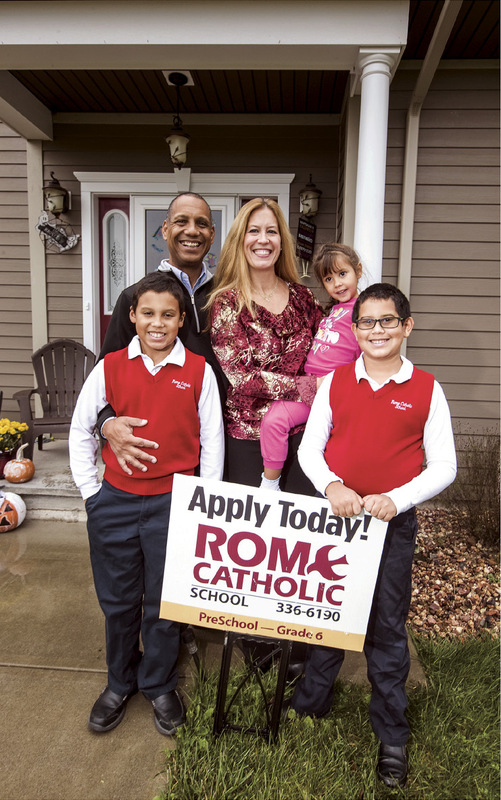 Pictured, left to right, are Isaiah, Charles, Danielle, Leah and Noah Sexton, with a sign they keep in their front yard to promote the school. Fifth grader Isaiah Sexton thrives at Rome Catholic School. He participates in Mass, learned to play the recorder and baritone, and mentors younger students. He and his brother, Noah, a fourth grader, have participated in the school’s running club, and the family loves the school’s art classes, plays and seasonal concerts. There was no question that Danielle and Charles Sexton would send their youngest child, Leah, there for pre-kindergarten this year. 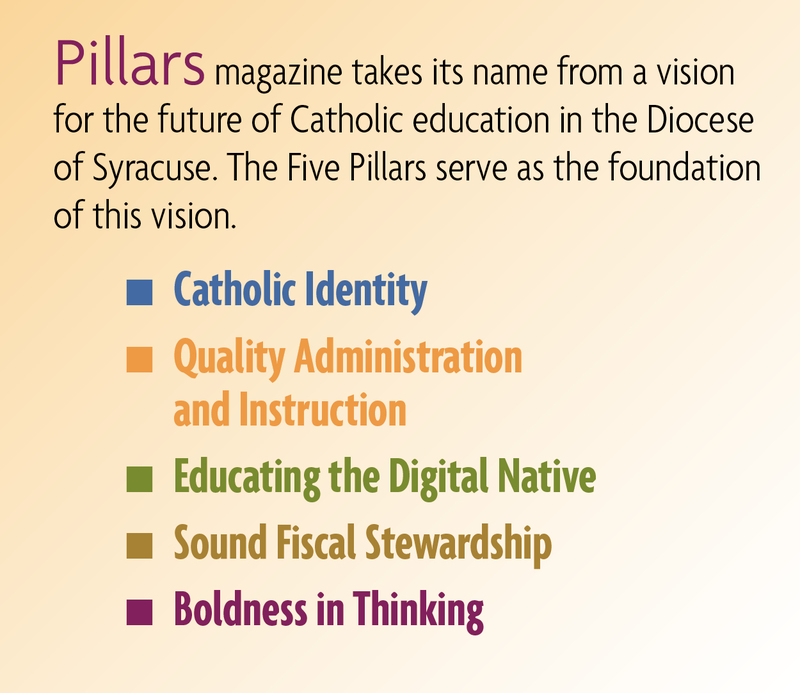 The Sextons consider Rome Catholic, a school of 74 pupils in Pre-K through Grade 6, a perfect fit for their children. Count the Sextons as diehard fans of Rome Catholic, even as the school faces new challenges after moving from 800 Cypress St. to 400 Floyd Ave., the former St. Peter’s School building. The school opened in September in a building that was previously used as a tutorial center for the Rome City School District. The school’s previous location on Cypress Street was the site of the high school that closed in 2013. The decision worried some parents but not the Sextons. Besides, he added, the building is simply a better fit. “The old building was designed as a high school, and the building we went to was designed as an elementary school. When they go to the bathroom, the sinks are the appropriate size,” he said. The Sextons grew up in Rome. Danielle attended the former Transfiguration Elementary School, and Charles went to public school. The family attends First Presbyterian Church in Rome. The Sextons are optimistic about the school’s future and eager to share their view. They even have signs in their front yard advertising the school.